Baptist Press EDITOR’S NOTE: This is the second report from IMB President Paul Chitwood’s first extended overseas trip since taking on his new role. Look for an additional story to come later this week. JINJA, UGANDA (BP) — There’s a deacon in Uganda who will gladly pray for church members who pay a few shillings; another preacher says God will bless them with a car or house if they are willing to give him some money. And another preaches John the Baptist was born of a virgin birth. 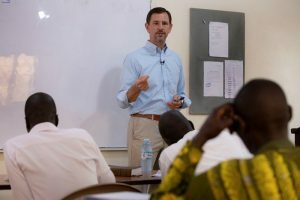 “The prosperity gospel is alive and well in sub-Saharan Africa as is Islam and African traditional religions, animism,” said IMB President Paul Chitwood, who took a couple days to visit the Ugandan Baptist Seminary (UBS) during his whirlwind tour of Uganda with his wife Michelle and 12-year-old daughter Cai. Last week’s trip was Chitwood’s first extended visit overseas since taking on his new role as IMB president. With Uganda’s population of more than 40 million reportedly positioned to double in size by 2050, biblically faithful education and discipleship there and in other African countries is needed more than ever. And Chitwood said IMB missionaries in Jinja and others working with UBS are helping provide that training. 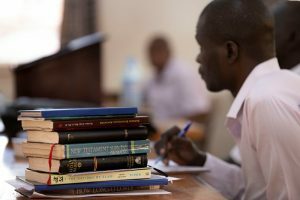 “To see Ugandan Christ followers being equipped to challenge those false teachings … helped me know that we’re on the right path here &#91;with theological education&#93;,” Chitwood said. 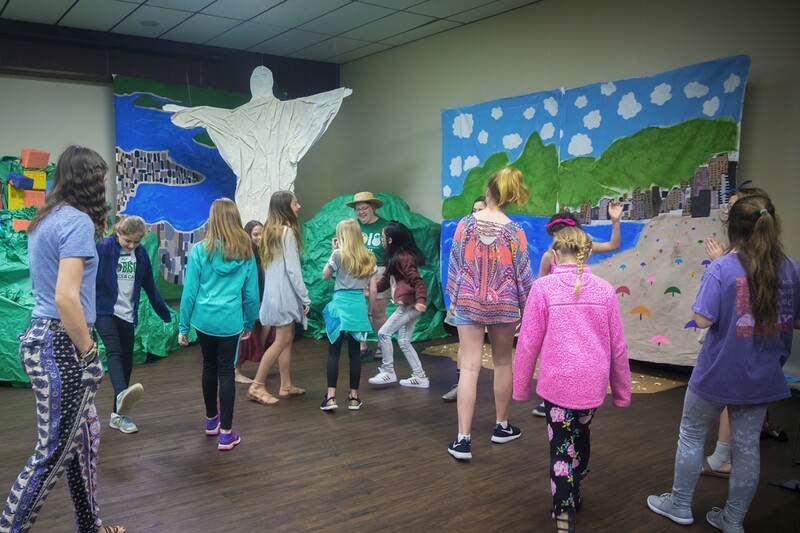 And “our missionaries are approaching this in a way that is effectively turning the people away from the lies of false religion to the truth of the Gospel,” he said. And he wanted the seminary’s principal, Anthony Shelton, and other missionaries in Jinja “to know that &#91;IMB is&#93; behind him and his team and fully committed to their work.” Shelton and his wife Misti have two teenage daughters, Karis and Sophia. In the 30 years since UBS was formed, the seminary has seen more than 1,000 church leaders come through the school and graduate. But Shelton said it isn’t enough to keep up with the dramatic population growth. “It’s not rare to find a preacher, if you want to call him a preacher, who charges for prayers,” said Godby, who added that too many pastors go into the ministry for the wrong reasons of financial prosperity. “It’s really a mutual partnership,” he said. “… We believe in partnerships with Baptist conventions across sub-Saharan Africa to help them do their part,” he said. Shawn Hendricks is managing editor of Baptist Press. View more articles by Shawn Hendricks.